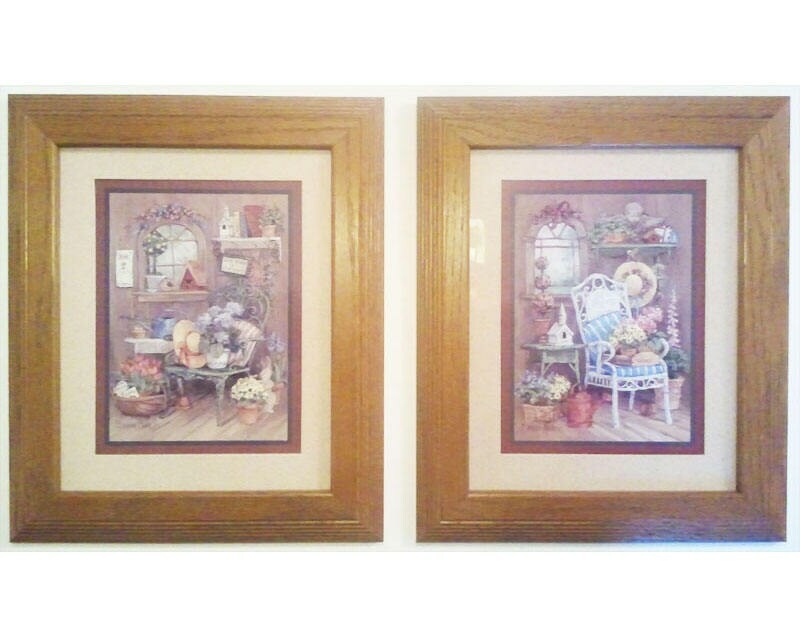 This vintage set of wooden framed prints is from Home Interiors, titled Love Grows in a Garden by artist Barbara Mock. Both scenes are different settings of a chair on a porch surrounded by beautiful flora and other decorative accents. Each frame measures 12.5"H x 10.5"W and both pictures are in mint condition.